If espresso is your coffee of choice, you’ll need a way to grind your coffee beans to the perfect texture before brewing. We carry an extensive selection of espresso coffee grinders to meet the needs of espresso enthusiasts in the home and in the café here at Seattle Coffee Gear. Designed and manufactured by some of the industry’s most-trusted brands, the espresso coffee grinders in our selection come equipped with a host of state-of-the-art design features that make grinding coffee for espresso easier than ever. Learn more below, and order your brand-new espresso grinder here at Seattle Coffee Gear! Of the steps that go into brewing high-quality espresso coffee, few are more important than the grinding of the coffee beans. Espresso brewing requires coffee beans to be finely ground so that pressurized water can pass through them at high speeds and yield great-tasting coffee in a matter of seconds. While grinding coffee beans to a fine texture can be performed by hand, it is a job most efficiently and precisely performed by a machine. 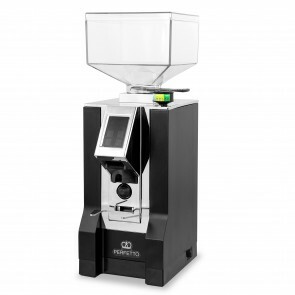 Investing in a high-quality espresso coffee grinder will ensure that your coffee beans are ground to the exact texture required to brew delicious espresso coffee as efficiently as possible. Here at Seattle Coffee Gear, we are proud to carry an extensive selection of the industry’s best espresso coffee grinders. Among the high-performing grinders in our inventory, you’ll find machines with state-of-the-art features including programmable fineness setting, one-touch grinding and more. You’ll also find that our espresso coffee grinders are designed and manufactured by some of the industry’s leading brands, including Baratza, Eureka, Nuova Simonelli and more. 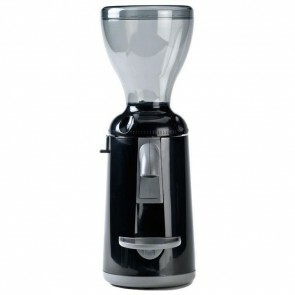 Browse our selection to find the perfect espresso coffee grinder for your needs today!